Standard deviations are typically used in norm-referenced assessment to establish a scale for determining the significance of differences between scores. These differences are used to determine whether scores are average or significantly below or above average. Standard deviations and standard scores are one of the most common ways to interpret standardized test results, but they aren't the only. Standard deviations are calculated by test developers. You can think of them as "average differences" from what most people score on a test. Understanding how standard deviation work can help you begin to understand your child's standardized test scores. Many of the tests commonly used to diagnose learning disabilities for special education programs are standardized. Publishers of most standardized tests use one of the several common types of scoring methods. Standard scores are helpful because they allow comparisons of a child's performance on different types of tests. They also help estimate a child's strengths and weaknesses compared to her overall ability and allow estimation of a child's skills on a test compared to other students his age or grade level. When parents first become involved in the world of learning disabilities and standardized testing, it's easy to become overwhelmed with all the information. Here are some basic guidelines and terms used by educators who administer and interpret standardized test scores. Standard Scores: Test developers calculate the statistical average based on the performance of students tested in the norming process of test development. That score is assigned a value. Different performance levels are calculated based on the differences in student scores from the statistical average and are expressed as standard deviations. These standard deviations are used to determine what scores fall within the above average, average, and below average ranges.Standard scores and standard deviations are different for different tests. Many of the commonly used tests, such as the Wechsler Intelligence Scales, have an average score of 100 and a standard deviation of 15. Percentiles: These scores show how a student's performance compares to others tested during test development. A student who scores at the 50th percentile performed at least as well as 50 percent of students his age in the development of the test. As you will note in the table below, a score at the 50th percentile is within the average range. Z-Scores: These scores range from +4 to -4 and have an average of zero. Positive scores are above average. Negative scores are below average. The table below shows the approximate percentile scores that correspond to z-scores. T-Scores: have an average of 50 and a standard deviation of 10. Scores above 50 are above average. Scores below 50 are below average. The table below shows the approximate standard scores, percentile scores, and z-scores, scores that correspond to t-scores. Stanine Scores: Stanine is a contraction of the term "standard nine." These scores range from one to nine and have an average of about 4.5. As you can see, standardized test scores enable us to compare a student's performance on different types of tests. Although all test scores should be considered estimates, some are more precise than others. Standard scores and percentiles, for example, define a student's performance with more precision than t-scores, z-scores, or stanines. 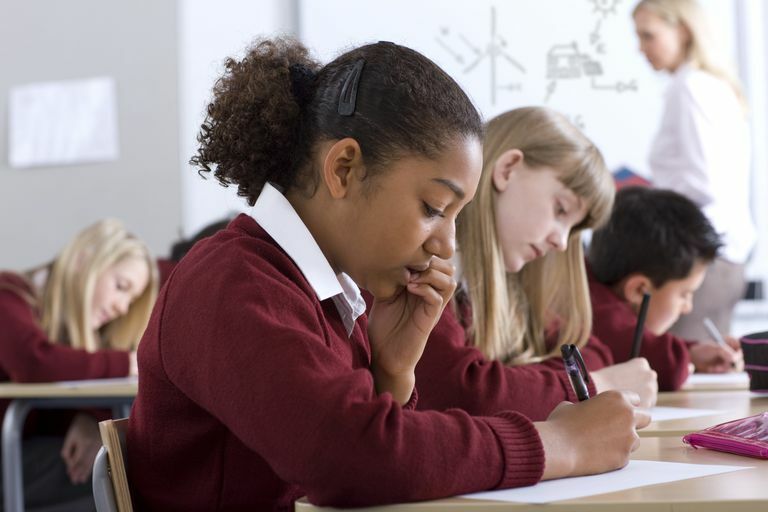 This list of common types of standard scores can help you estimate your child's performance on tests using these types of scores. To understand the meaning of other test scores not listed here, your child's special education teacher, counselor, or school psychologist can provide you with specific information on any tests your child takes in school. Don't let the complexity of the process prevent you from asking questions. If you don't understand or disagree with something, make sure you have a qualified educator explain it to you. You are your child's best advocate, and understanding the minutiae of standardized testing can help you decide what's right for your child.